'Smart Go Next' is a relatively simple change, but one that could be very useful and save a lot of frustration. When you're entering information into a form on mobile, your keyboard's enter key will be changed to a 'Go' key, so that when you press it the form will be submitted. The new feature changes this to a 'Next' key while you still have missing information in the form. This way you won't accidentally submit the form before you're done filling it out, which in most cases also removes anything you've already entered. Before this alteration, the only way to navigate to the next field in the form would be to tap on it, which can be fiddly depending on the size of the box or the design of the web page, especially if you also need to scroll to find the next field. This new 'Next' button in the keyboard should make this process that little bit easier. Only when all fields are completed will the key change again to 'Go' so you can submit the information and move on. Samsung's browser already has in-built smart form navigation buttons that sit above the keyboard, so this could be viewed as an extension of that feature. Samsung devs worked on submitting this feature to the Chromium project, and they explained that this feature request on the bug tracker was part of the inspiration for it. 'Smart Go Next' is actually part of Chromium 62 and is therefore currently being tested in the Chrome 62 beta channel before making its way to stable. 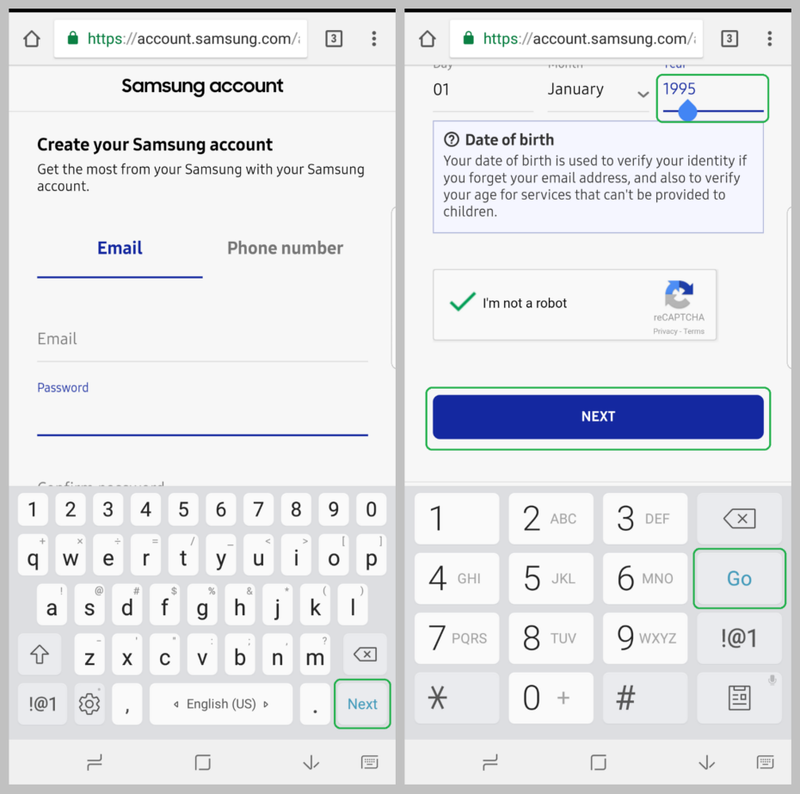 When Samsung Internet is updated to Chromium 62, it will have the feature, too, and it should work with any up-to-date Android keyboard app. Samsung Internet is available for most Android phones, not just those made by the South Korean company. If you fancy giving it a try, you can grab it from the Play Store link below, or sideload it via APKMirror. A beta version is also available.